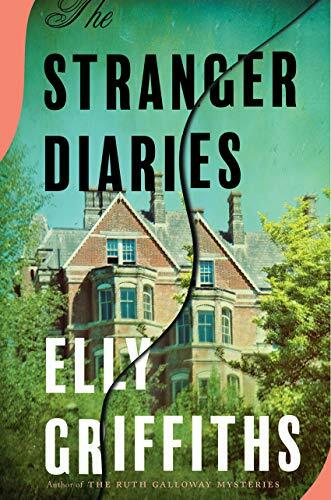 With elements of the best Gothic classics set in the present-day world of conveniences and police work, The Stranger Diaries is an absolute thrill from start to finish. Elly Griffiths, known for her outstanding Ruth Galloway and Magic Men series, has taken her brilliant writing to the creation of a stand-alone that will take your breath away. Wilkie Collins and Dame Daphne du Maurier, you can rest easy. Elly Griffiths has this now, and atmospheric mystery never had a better guardian than she. The suspense is unrelenting, as it should be, and use of setting to drive it is inspiring. Clare Cassidy teaches English at Talgarth High in West Sussex, where she moved to from London after her divorce five years ago with her now teen daughter Georgie. Clare is also writing a book about her classic author obsession, R.M. Holland, who happened to live in the house still used for some classes on the Talgarth campus. In fact, Holland’s third floor study is preserved as it was when he lived in the house, an unexpected bonus for Clare when she came to teach there. R.M. Holland’s most famous work was a short story entitled “The Stranger,” and Clare is currently teaching it in an adult education creative writing course during a Talgarth school break. Griffiths’ book begins with an excerpt from “The Stranger,” as Clare is reading it to her class. It is as Gothic and atmospheric a tale as one can imagine, and reading it on a late October afternoon, with the sky darkening, creates the perfect storm of a setting, an ominous setting that turns out to be a harbinger of what follows. During the class coffee break, Clare receives a call from the head English teacher that another Talgarth English teacher, a close friend of Clare’s, has been found murdered. What shakes up Clare even more is when the police later tell her that a note bearing the words “Hell is empty,” was found by her friend Ella’s body. Clare knows that quote. It’s from R.M. Holland’s ghost story “The Stranger.” Of further concern is that the stigmata symbol cut into Ella’s hands after her death is another item from Holland’s story. Detective Sergeant Harbinder Kaur is the lead investigator into Ella Elphick’s death, and she doesn’t waste anytime zeroing in on Clare Cassidy’s connection to Ella, their friendship and the R.M. Holland tie-ins. Harbinder takes an instant dislike to Clare, who is tall and beautiful and polished, but Harbinder is a crack detective and doesn’t let personal feelings enter into her dogged pursuit of the truth. She is capable of letting the facts lead her to a fair opinion. When a second murder occurs, this time the head English teacher at Hagarth, Rick Lewis, DS Kaur probes further into the relationships between Ella, Rick, and Clare. Kaur is herself a former student of Talgarth and had a supernatural experience in the old Holland house she has never discussed with anyone. Clare in the meantime has made a chilling discovery of her own in her diary she regularly keeps. Looking back in her diary at the time she, Ella, and Rick attended a conference together, she is terrified to see that someone else has written in her diary at that time with “Hallo, Clare. You don’t know me.” It won’t be the last time she finds such an entry. Notifying DS Kaur of the unknown contributor to her diary, Clare ends up giving all her diaries she’s kept to Harbinder to review. And, daughter Georgie is keeping secrets from her mother as she writes in an online diary site for teens. Georgie’s writings and some of her friendships are something she wants to keep private from both her mother and her father Simon, who is in London. These friendships are a result of a creative writing course the students are taking together, and one of those students sent an inappropriate Valentine to Ella in the last year. What isn’t secret is Georgie’s 21-year-old boyfriend Ty, who is six years older than she is. Although Clare doesn’t approve of the age difference, she’s trying hard to be open-minded about it. And, Georgie does give comfort to Clare, along with their white-ball-of-fur dog named Herbert, yet another link to the R.M Holland story. The setting in this book is completely in tune with the plot, as all great Gothic style stories are. The house where H.M. Holland lived and wrote, where his wife mysteriously fell down stairs to her death, and where the legend persists that it is haunted—that part of the setting is the strongest presence of Gothic. The isolation of the school and where Clare lives, near an abandoned cement factory from which an occasional light is seen, lends added suspense and mystery. The time of year is the icing on the setting cake, with it being October when the winds are blustery, and the skies get dark by late afternoon. The chill in the air is a tangible, pervading element and contributes to the chilling effect of the story. As Griffiths does so many things well, in this book and all her others, it’s impossible to single out one aspect of her talent that is the most commanding, but one aspect of her stories that keeps readers returning for each book she writes is the undeniable genius of creating unforgettable characters. 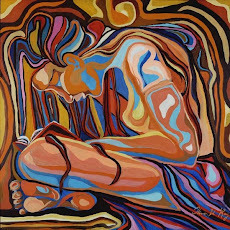 Ruth Galloway, Cathbad, DI Edgar Stephens are three of my favorites from her series. The Stranger Diaries too has an excellent cast of characters, with Clare and DS Harbinder Kaur being at the forefront. They are both independent women who have had to make their own way on their own terms. Clare has established herself as a serious academic despite her ex-husband’s lack of confidence in her and the responsibility of being a single mother. Harbinder is a smart, capable policewoman who has had all the challenges of advancing as a female, and then some. Although distrustful of one another at first, a respect for each other develops over the course of the investigation. And, there is the looming presence of the long-dead H.M. Holland and his tragic wife, characters still affecting the living. Minor characters are also a Griffiths’ forte, including Clare’s daughter Georgia and Byrony Hughes, as a practicing witch with a sinister sway over her writing group of teens, and Henry Hamilton, a Cambridge professor offering some interesting H.M. Holland materials to Clare. The way in which Elly Griffiths chooses to tell this tale is perfection itself. Beginning with the brief reading of part of H.M. Holland’s “The Stranger,” the book is then divided into parts labeled Clare, Harbinder, Georgia, and further excerpts from “The Stranger.” This arrangement allows the reader to get different characters’ points of view and different clues to the who-done-it question. The Georgia parts are much shorter than the Clare and Harbinder ones, but they allow the reader to fill in some blanks that otherwise would make an incomplete story. As the killings mimic the ones in Holland’s story, its inclusion is both helpful and wonderfully atmospheric. The complete story at the end of the book is quite the satisfactory finishing touch. 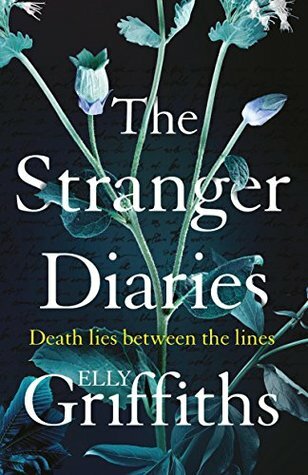 I anticipated that The Stranger Diaries would be a great read, as Elly Griffiths is one of the best writers/storytellers writing today, but I was still blown away by its extraordinary accomplishment. Threading Gothic elements into a tale of police procedural and psychological thriller makes for some of the best reading I’ve had, ever. The stand-alone is yet another area in which this exceptional author excels. I was fortunate to receive an advanced copy of this book from the author, and my review is an honest, unbiased one. This sounds awesome so I just put it on hold. I've only read one Elly Griffiths book in the past. It was from the Magic Men series, and I thought it was just fine but nothing special; however, I'm willing to take a chance on this one. The Stranger Diaries is Elly's first stand-alone book, and, as you can tell from my review, I loved it. I first came to Elly Griffiths' books through her Ruth Galloway series, which is one of my favorite series, if not my most favorite. Ruth is a forensic archeologist and works with the police from time to time to solve murders. The Crossing Places is first in the Ruth Galloway series. I think you might like it, Margie. 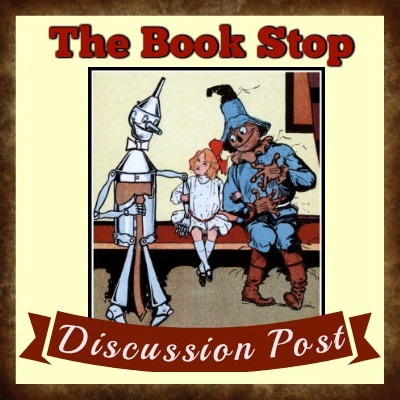 At first I was afraid that I wouldn't like the Magic Men series, and while the Ruth series will always be my favorite of the two, I've come to really enjoy the time period of the early 1950s and the last days of vaudeville act in the Magic Men books. I do hope you enjoy The Stranger Diaries, Margie, and please let me know if you try the Ruth Galloway books.